A cold weather tyre designed for city cars, small and medium family saloons and MPVs. The A3 is the latest version of Michelin's standard winter tyre and replaces the Alpin 2. The Alpin A3 offers a 3% improvement in wet braking compared to its predecessor. Michelin also claims the Alpin A3 lasts 40% longer in terms of mileage than its principal European competitors. 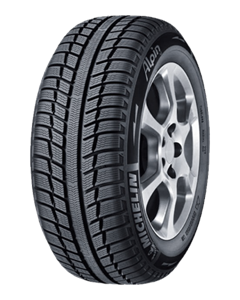 Sorry, we currently do not have any tyres with the Alpin A3 pattern in stock.